When Shanté moved into BHC’s Lincoln Mews community with her son, she had no idea her family would grow so quickly. Before finding the Better Housing Coalition, Shanté and her 9-year-old son Darelle were homeless. Adding to the stress of not knowing where they would sleep at night, Shanté was unemployed and without a car. Darelle’s grades were suffering due to their frequent moves. Shanté was also pregnant, and had no family support. She knew she had to take action for her children’s sake. 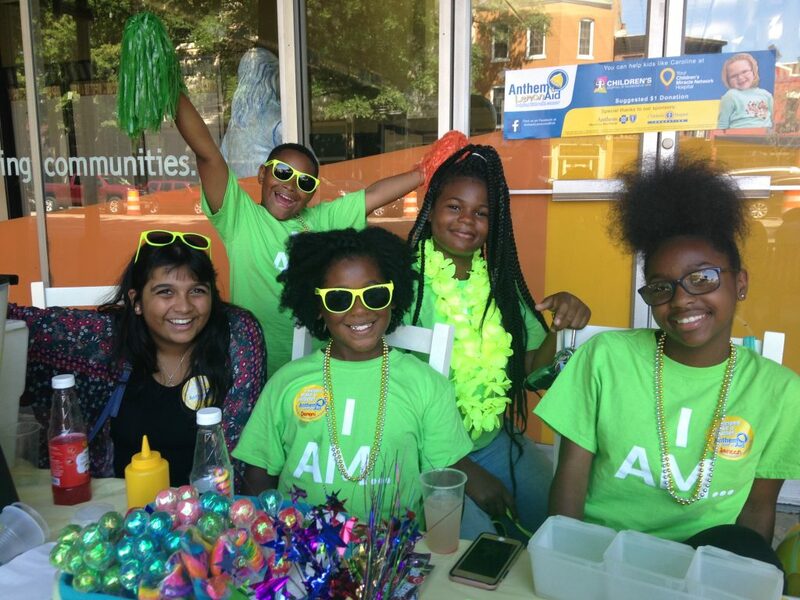 Shortly after moving to Lincoln Mews, Darelle (rear) and other young residents sold lemonade to raise money for kids with cancer. “I couldn’t understand how this could be happening to me, a grown woman,” Shanté said. “I had to swallow my pride, and ask for help.” A rapid rehousing program helped Shanté and Darelle find a safe, stable home at Lincoln Mews, within walking distance of Ginter Park Elementary. After enrolling Darelle in summer school to catch up, Shanté looked to their future. “Shanté came to us with a clear picture of what she wanted,” said Kristen Bellard, BHC’s Career Navigator. She had three goals: to land employment, get a degree, and secure childcare. Kristen teamed with Pam Crawford, BHC’s Resident Services Coordinator at Lincoln Mews, to develop a plan of action for Shanté and help her stick to it. 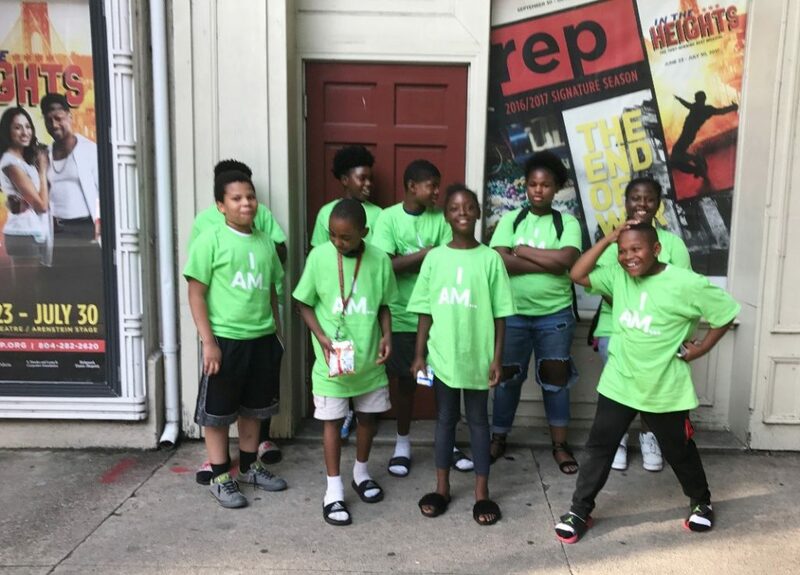 Shanté enrolled in BHC’s 8-week Job Assessment program, and earned a stipend by assisting Pam with the young residents in Lincoln Mews’ after-school programs. Pam prodded Shanté to apply for a BHC higher-education scholarship, which she won and used to study social science at Reynolds Community College. 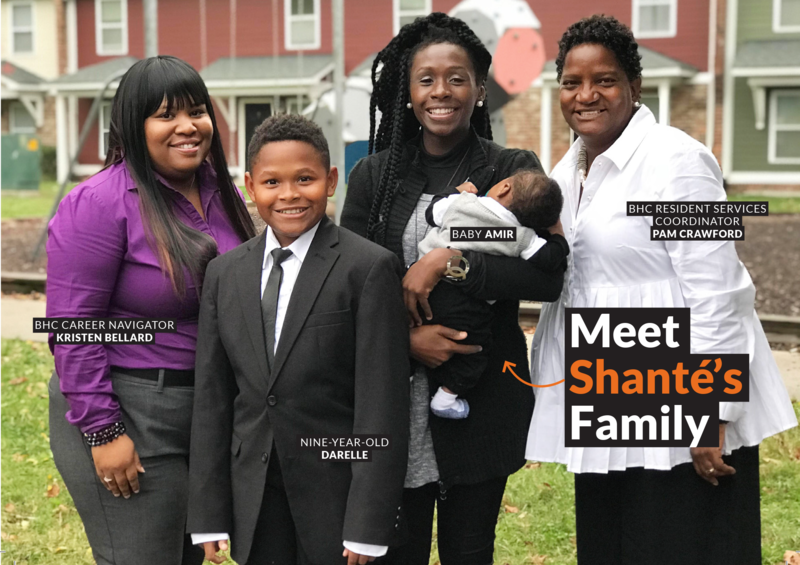 Shortly after giving birth to little Amir, Shanté resumed her job search. “I really do believe that the skills I learned here helped me to stand out,” Shanté said. Thanks to Shanté’s determination and her extended BHC family, Shanté now has a job with childcare for Amir, and a car. She’s considering transferring to VCU’s Social Work program. Best of all, Darelle is enjoying his new community, and school. In October, Shanté and Darelle celebrated his getting a “100” on a reading test. We can’t wait to see what happens next! Beyond housing, BHC surrounds its residents with caring staff and crucial support services to help families like Shanté’s thrive. Gifts to our Neighborhood Impact Fund allow us to provide these services. Won’t you join our family and make a secure, tax-deductible gift to BHC today? Awesome story! This is why I’ve worked in the affordable housing industry for over 35 years. I am inspired and reminded of the significant impact stable, safe , affordable housing makes in the lives of people who need it most. I love the Better Housing Coalition, because of their dedication and commitment to their residents, their caring generosity and their unique supportive services programs. They consistently go above and beyond. They really care! Thank you so much for your kind comments, Jill!